I bought this new in 03. It has been a great quad. No need for it any more since we picked up a diesel Gravely Atlas CC SxS for farm use. 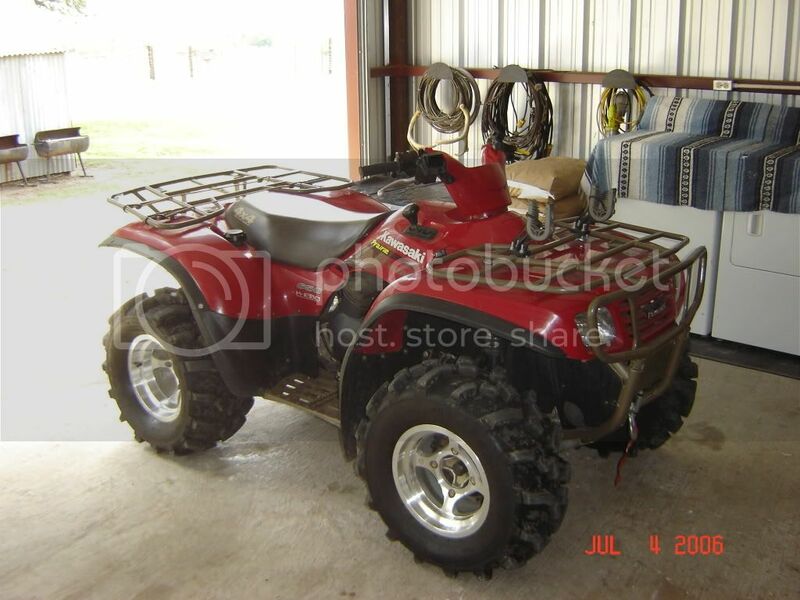 It has a Warn winch, ITP alloy wheels and ITP 589 tires. It also has Big Gun Exhaust. The racks show a little bit of use but overall its in great condition for being 12 years old. Title in hand. Im looking for $2700 and willing to negotiate on the price. Located in South Central TX (Karnes County) right now at my parents house. I can bring it to the Houston area if someone is interested locally. Last edited by boomtacoma01; 08-04-2015 at 07:38 AM..
Bump. Heading to my parents this weekend. I can get some more pics and bring it up to Houston if anyone is interested.